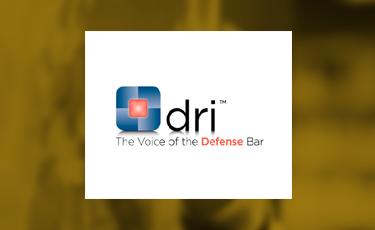 The Defense Research Institute (DRI) is the association for attorneys who identify most with the defense bar in North America. As with many associations, the demographics of its membership are changing, and it is increasingly more difficult to deliver value to individual members who have fewer dollars to spread around associations and continuing educational requirements. As a result, its future value proposition, financial viability and sector role were in question. DRI engaged SMI to assist its board of directors, working directly with its executive committee and the senior staff of the association. Over the course of 6 months, SMI facilitated a complete strategy development process. The project led the executive committee through a complete analysis of its membership, trends in the legal industry, and its underlying staff operations. From this, they developed a complete strategy (using a strategy map), strategic performance measures, and a portfolio of strategic initiatives. Concurrently, the staff organization invested in internal functional resources to create a strategy management office. SMI supported the definition, installation and training of these resources, which to this day provide the ongoing sustainment of the DRI strategy and its ongoing strategy management approach. Several years into its new strategy, DRI is making significant headway in implementing its new strategic initiatives, and its membership growth, retention and satisfaction are showing signs of improvement. Board-driven membership organizations are facing new challenges driven by demographics. It is imperative that boards leverage best-practice strategy development techniques; insist on extensive personal involvement; and demand proven strategy management approaches to drive execution.